Over 210 NIU students displayed their research skills, discoveries and artistry on Wednesday, April 18, during the university’s ninth annual Undergraduate Research and Artistry Day (URAD). Many others highlighted their important work with community-based service projects during the Community Engagement Showcase (CES). Descriptions of all student projects are available online. 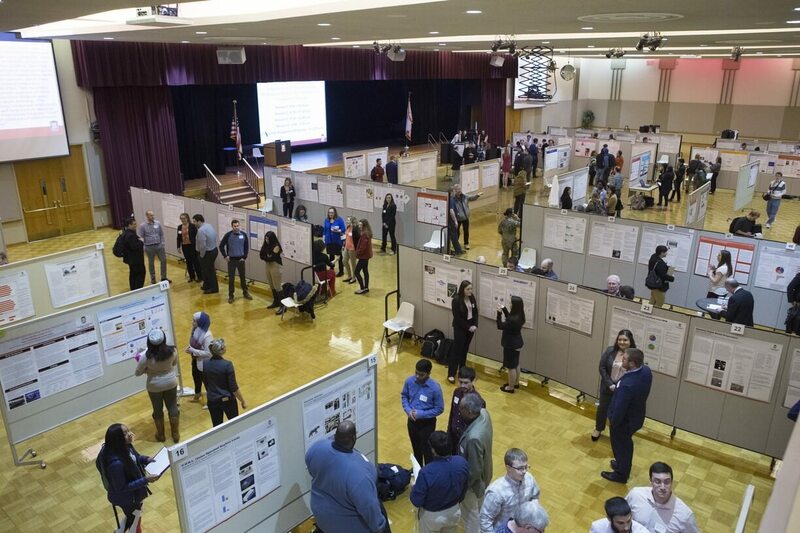 With the help of over 70 volunteer judges consisting of NIU faculty, staff and alumni, presenters were rated on their poster presentation or exhibit’s overall design, relevance of the project, appropriate methods used, and interaction at the poster or exhibit. Judges play a crucial role in these events, providing students with critical feedback on their presentations. For more information, contact the Office of Student Engagement and Experiential Learning at 815-753-8154 or engage@niu.edu.